OSLO, Norway — Norwegian biathlete Ole Einar Bjoerndalen, the most decorated male Winter Olympian in history with 13 medals, has retired from the sport. Nicknamed "The King of Biathlon," the 44-year-old Bjoerndalen competed at six Olympics. Of his 13 medals, eight were gold. He also won 45 world championship medals. "My motivation is unstoppable," Bjoerndalen was quoted as saying by the International Biathlon Union. "I would like to take a few more years, but this is the last season." "It is not dangerous, but it is a discomfort," he said. "I always got it in a state of rest, never under stress, so I was never sure if I should compete or work hard." 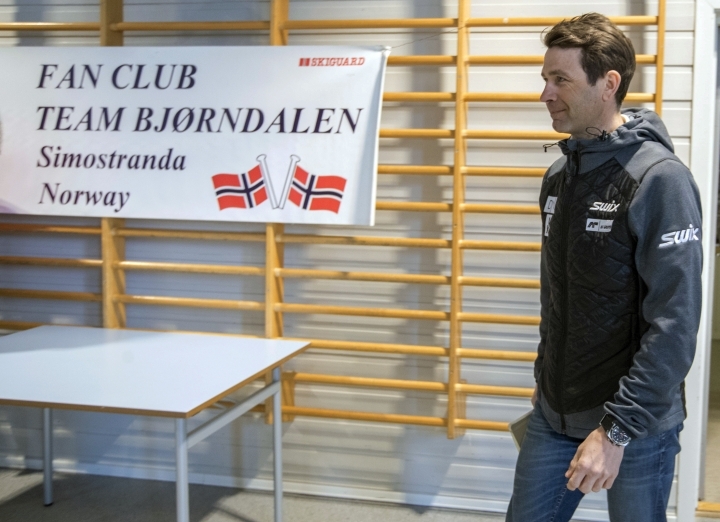 While Bjoerndalen didn't race in Pyeongchang, he was there with the Belarusian team testing out skis for his wife, the six-time Olympic biathlon medalist Darya Domracheva.